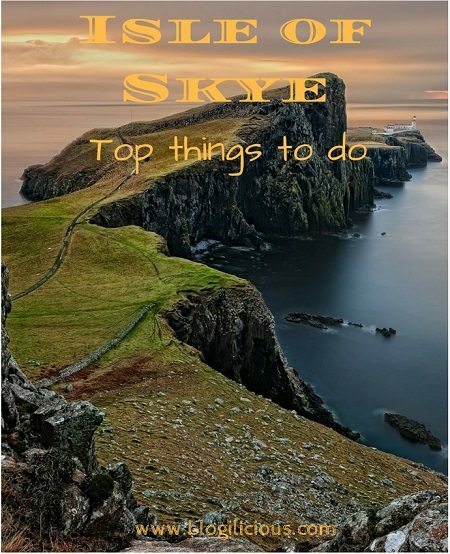 Why the Isle of Skye Must Be on Your Travel Bucket list | Bringing you travel inspiration and information from around the world. 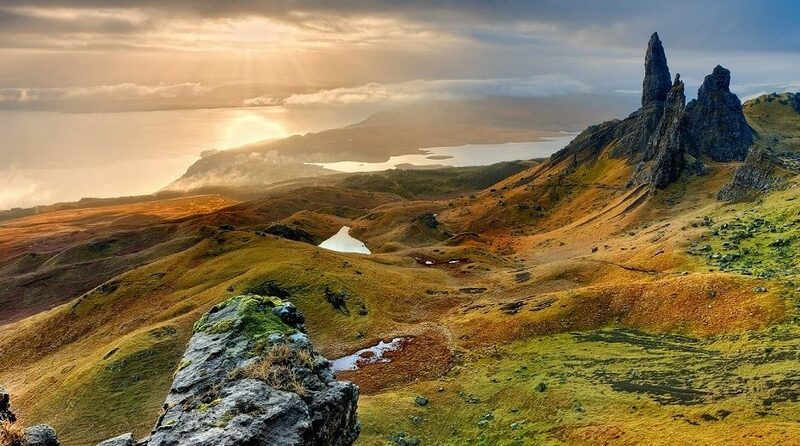 The Isle of Skye is definitely one of the most sought-after destinations in Scotland and it’s easy to see why. Breathtaking mountains, crystal clear lakes, waterfalls, and chance encounters with cute puffins nesting on precarious cliffs are just a few of the reasons that make Skye so special. For generations, locals have told stories of elves and fairies appearing through the mists and that mysticism is palpable in the air even today! 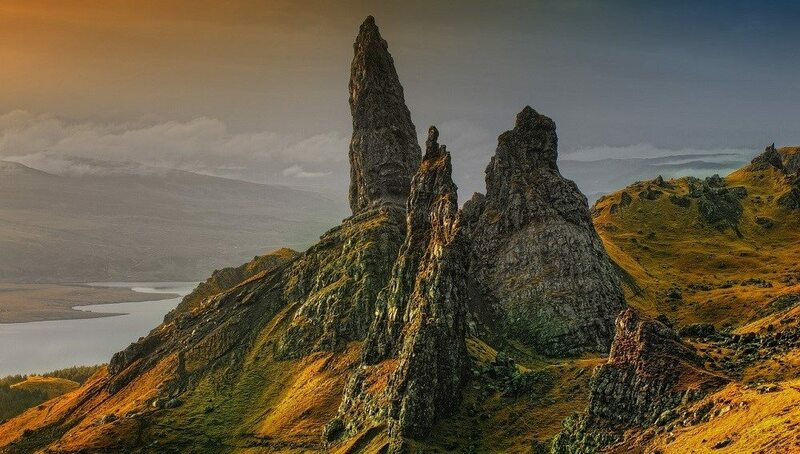 Arguably the most iconic symbol of Skye, the Old Man of Storr is an exhilarating 1 hour hike up to impressive rock formations and cliff faces. Once you get to its wind swept top, you will find a giant 40 meters monolithic rock keeping an eye out for mariners sailing out to sea! The views from the top are spectacular no matter whether you visit during the summer or in late autumn, with snow all around. This is one attraction that is really worth an effort to climb and even if you are on a short visit, make time for the Old Man of Storr. 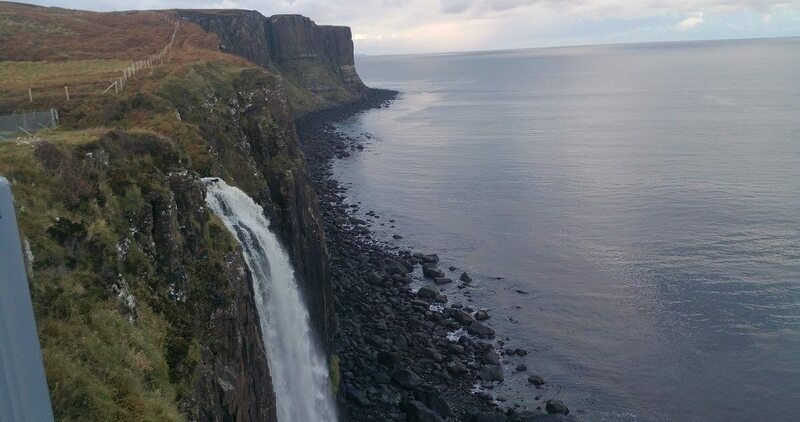 This is yet another example of a gorgeous rock formation in Skye – A sheer high rugged cliff face, with a waterfall crashing into the ocean below. It’s easy to understand why it’s called ‘kilt’ rock as it resembles the pleats on a Scottish kilt! The landscape leading up to the falls and the views from the observation deck are stunning. Also, dinosaur footprints have been found near its base, which makes it an interesting location for the whole family A quick warming – the gales are really strong here, so hold on tight to your hats, scarves and that newly purchased GoPro camera! 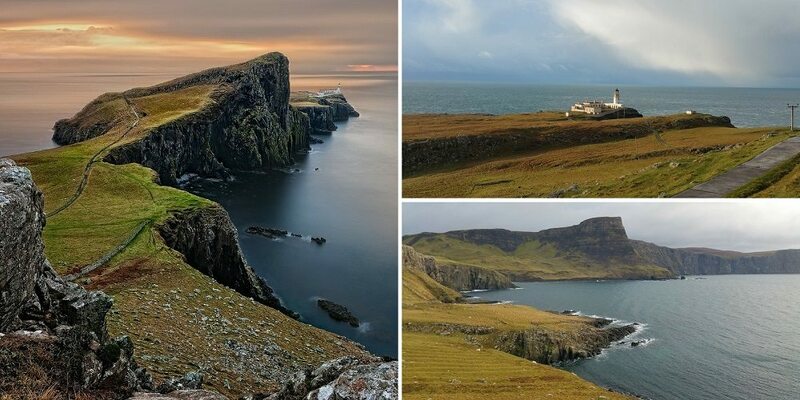 Situated on the western most point on the Isle of Skye, Neist point is another one of Skye’s MUST DOs! Getting to the lighthouse requires a bit of a walk. The narrow trail starts at the car park and descends steeply down, hugging the sheer cliff on its right. All along the way to the lighthouse, there are spectacular views and plenty of spots to stop for the perfect Instagram pic! Being on the western most point on the isle, the point makes a perfect place to watch spectacular sunsets and if you’re lucky, even spot a passing whale. 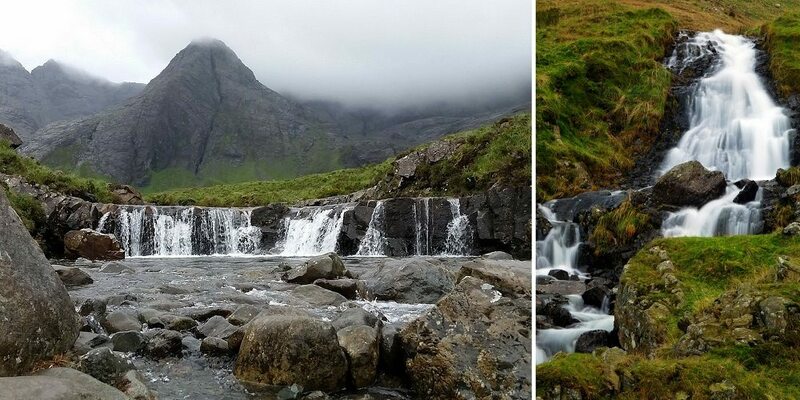 Located at the foot of the stunning Cuillin mountains, the Fairy Pools are a number of small waterfalls with crystal clear waters with “magical” curative powers! 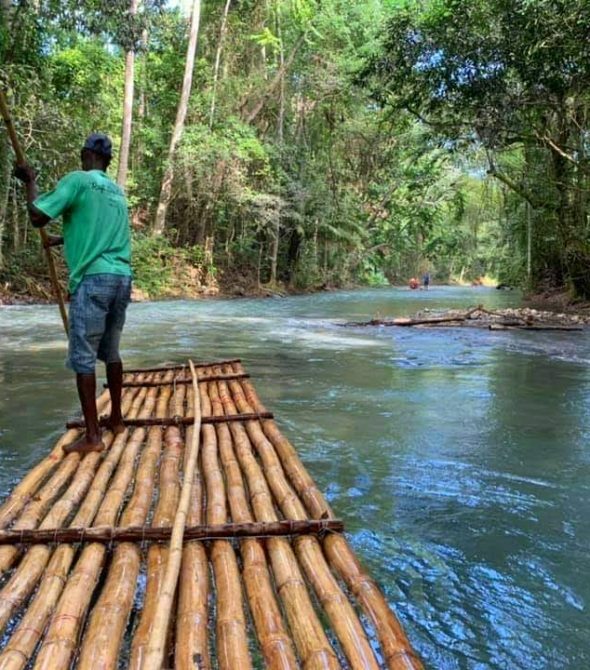 The walk to the pools take you past gorgeous landscapes and natural water pools. Local folklores has little fairies guarding these pools and that a dip in its icy cold waters guarantees your health and a return to the Isle of Skye! Portree is the largest town of Skye and is unofficially referred to as its capital. The gorgeous colored houses lining its main harbor road makes it a picture-perfect setting. 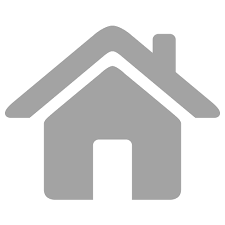 The town is the perfect base to explore Skye and has the maximum number of restaurants, B&Bs, cafes and shops. 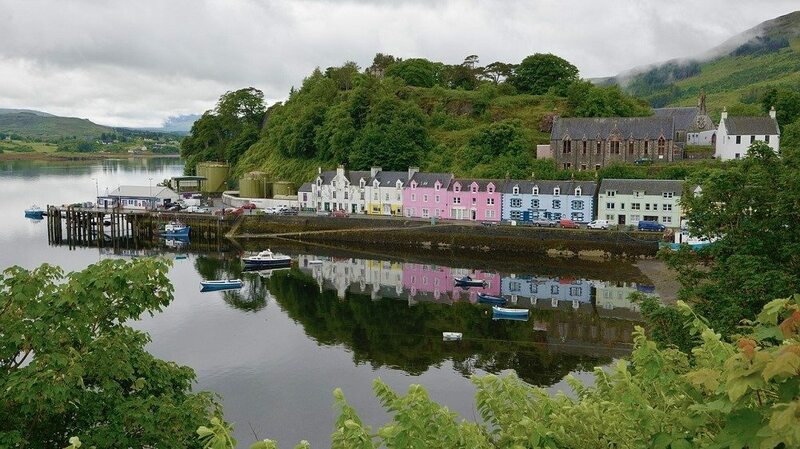 Skye is famous for its super fresh seafood and some of the best places to sample that seafood is in Portree. 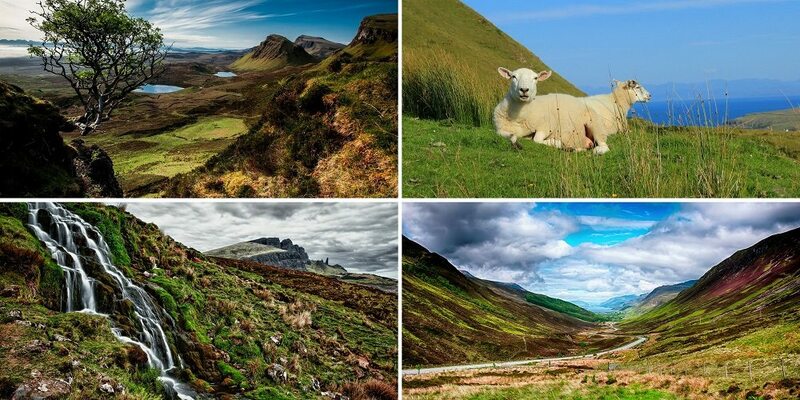 Situated on the Trotternish Peninsula, Quiraing has some of the prettiest landscapes in all of Skye. Stunning deep valleys, craggy hillsides with amazing rock formations makes this another favorite with the hikers. Unlike the uphill hike to the Old Man of Storr, the terrain in Quiraing is flatter making it an easy hike to undertake for travelers of all ages and fitness! You cannot visit Scotland without touring one of its distilleries and the Isle of Skye is home to one of the finest – The Talisker distillery. Its whiskey is famous for its smoky flavor and it’s fascinating to see the distillation process and how the golden liquid gets produced. Also, due to the unpredictability of the Scottish weather, the distillery tour with some amazing sampling, can be the perfect backup for a rainy day and an amazing way to lift your spirit! The Isle of Skye is one of those places that will stay with you for a long time to come. 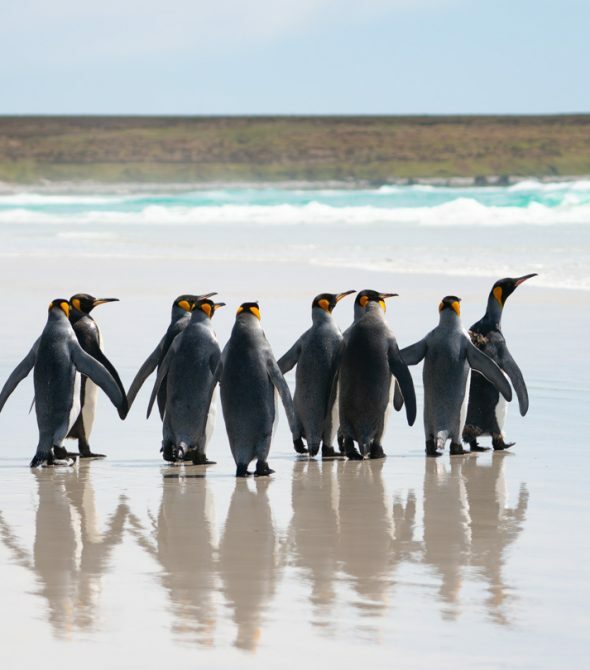 It is a true celebration of nature’s wonders. If time and weather permit, do try and squeeze in the Dunvegan Castle, Fairy Glen or go on a wildlife boat trip and you won’t be disappointed. Have you been to the Isle of Skye? 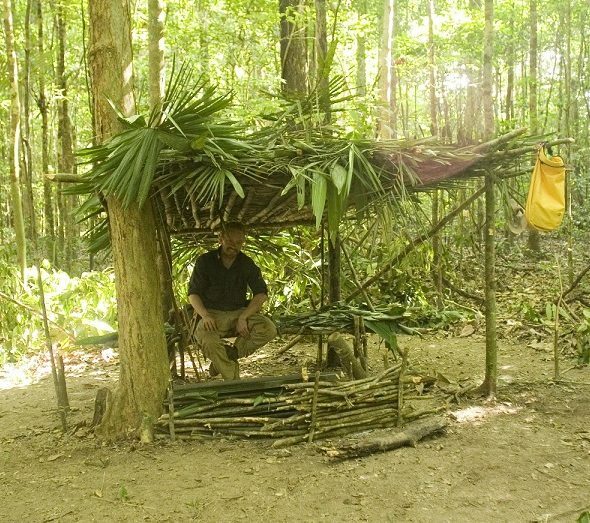 Do share with us your experience or if you think we’ve missed an interesting spot worth exploring.